The Independent National Electoral Commission on Thursday said it had not received a letter purportedly written by the Attorney-General of the Federation and Minister of Justice, Abubakar Malami (SAN), demanding a postponement of the Zamfara State National Assembly, governorship and State House of Assembly elections. The commission specifically stated that the purported letter could be a fake document emanating from online media. The AGF had in the letter purportedly demanded a shift in the polls following the decision of the Appeal Court that all parties should return to the status quo in the primaries of the Zamfara State chapter of the All Progressives Congress. 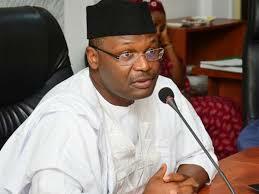 The AGF in the letter which was said to have been written to the INEC chairman, Prof. Mahmood Yakubu and dated February 13, 2019, cited Sections 38 and 39 of the Electoral (Amendment) Act 2010 to support his argument. Malami purportedly said that the postponement would enable the Zamfara State APC to field candidates for all the positions. The AGF, according to the letter, reportedly acted upon a petition written by the firm of M.A. Mahmud (SAN) and Co and further advised INEC to comply with the instructions forthwith. But the INEC Director of Voter Education and Publicity, Oluwole Osaze-Uzezi, told The PUNCH that the commission had yet to receive the letter.